People commit to vegetarianism and veganism for a variety of reasons. The benefits of a meat-free lifestyle are many and can include weight loss, heart health, improved kidney function, better sleep, and even cancer prevention. Many believe that eating a vegetarian or vegan diet can also improve the skin, with some claiming that they developed a “glow” almost overnight when they transitioned to a meat-free diet. It’s no wonder that so many celebrities follow this healthy way of living. Let’s meet a few Hollywood vegans and vegetarians and learn their reasons for going meat-free. A couple of these might surprise you! She continued, “but I am a firm believer in eating a full plant-based, whole food diet that can expand your life length and make you an all-around happier person.” Although Grande acknowledged that eating out can be tricky at times, she also credits her high energy levels to being a vegan. Next: one of the best tennis players in the world is vegan. 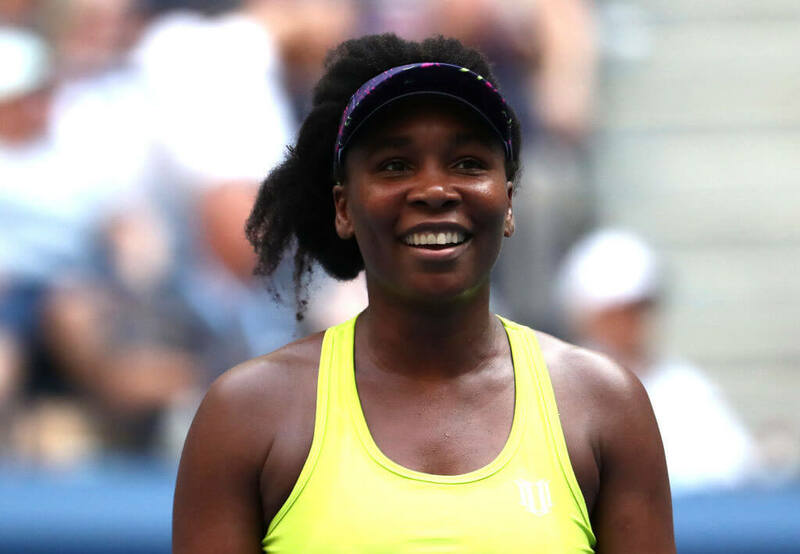 In 2011, tennis star Venus Williams was diagnosed with Sjögren’s syndrome, an autoimmune disease that can cause fatigue and excruciating joint pain. The condition could be career-ruining for her. In fact, she had to withdraw from the 2011 U.S. Open as a result. 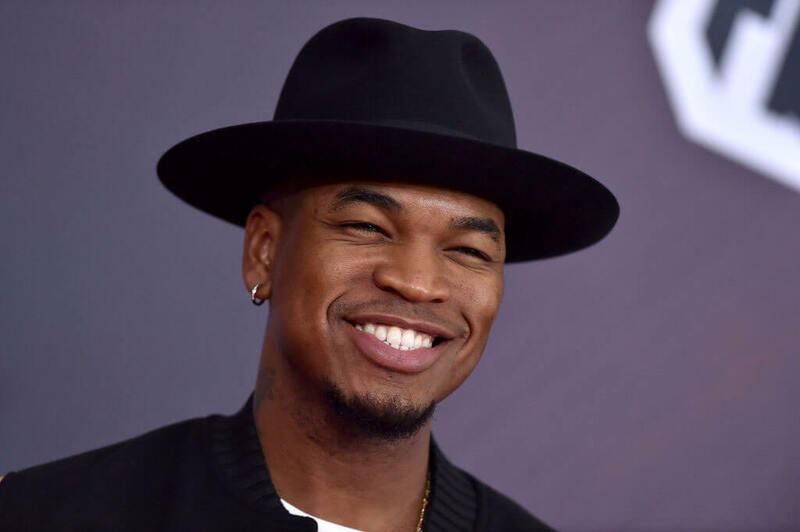 Today, Ne-Yo says that his new way of eating has improved his physique. He posted a selfie to Instagram which featured his impressive abs, and captioned the shot “VEGAN LIFE. Me telling myself if I wanna keep this stomach I should probably NOT eat this bag of chips right now….” Sounds like he has all the motivation he needs to stick with veganism. The next celeb had an “aha!” moment that led her to give up meat. 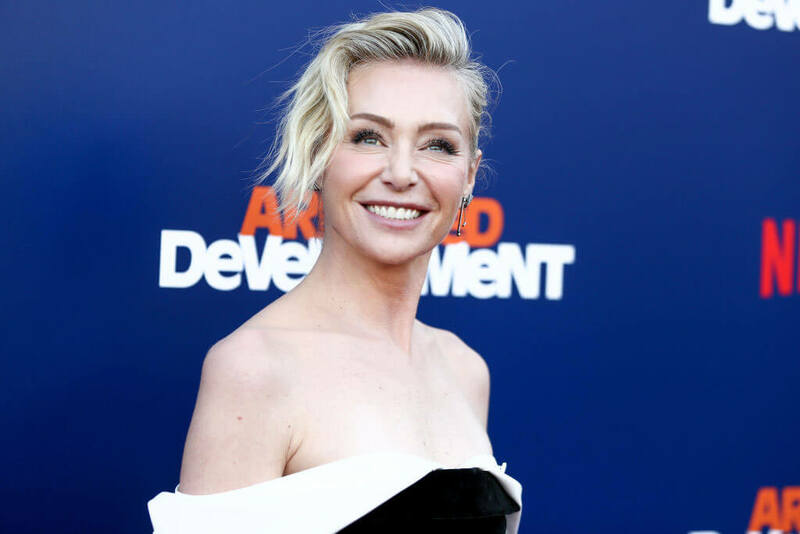 Actress Portia Rossi has been vegan since 2008. She told Oprah that an “aha!” moment led her to stop eating meat. She and her wife, Ellen DeGeneres, had moved to a farm. Early one morning she saw a group of cows and baby calves all playing together, and her outlook on consuming meat changed right then. Maguire even brought a vegan chef to the set of 2009’s Brothers, in which he co-starred with fellow vegan Natalie Portman (it’s said that he helped her as she transitioned to veganism). And when he was filming The Great Gatsby, he requested that producers switch out the leather seats in a Mercedes they had loaned him. The updated seats were covered with cruelty-free vinyl instead. Zendaya, the actress and singer, started toying with the idea of going vegetarian when she was just a kid. She and her father passed a slaughterhouse on a road trip, and he explained what happened inside the building. But it wasn’t until she watched a PETA documentary called Glass Walls that she took the plunge. Zendaya wrote on her app, “my main reason for being a vegetarian is that I’m an animal lover — definitely NOT because I love vegetables.” She’s also acknowledged how tricky it can be to be a vegetarian without liking veggies all that much. She stays dedicated and makes it work, though! Becoming vegetarian at just 12 years old, actress Olivia Wilde had a head-start on this healthy lifestyle. The actress later moved to a fully vegan diet, but switched back to vegetarianism when she was expecting her second child. Her husband, SNL alumni Jason Sudeikis, says that Wilde is an amazing vegetarian cook and that her food helped him drop a few pounds early on in their relationship. 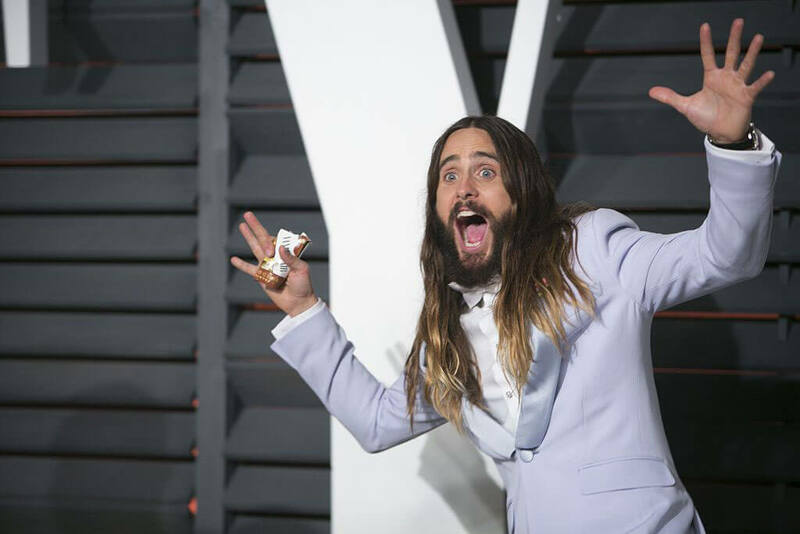 The “sexiest male vegan celebrity” chosen by PETA in 2014, actor Jared Leto is as vegan as they come. 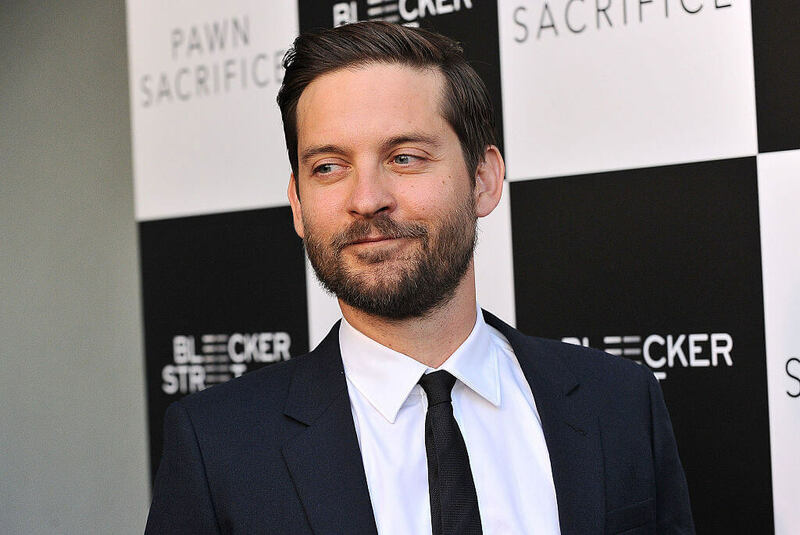 You would never guess he is 43, but he told GQ that he stays youthful by maintaining a vegan lifestyle for more than 20 years now. Leto has clarified that he’s a vegan most of the timebut will allow for the occasional treat. “I’m actually a cheagan, a cheating vegan. I don’t eat meat ever. But if someone’s mom made a cookie and handed it to me, I’d probably take a bite, or if I’m in Alaska and there’s wild salmon out of the river, I’d probably eat it.” Let’s hope PETA doesn’t hear about this! House of Cards actress Kate Mara first became a vegan after reading a book called The Beauty Detox Solution. She’s never looked back in the five years since. “I’m a massive animal lover, too,” she said, so “being vegan has been so good for me.” Mara is a spokesperson for the Humane Society of the United States and in 2015 starred in a commercial that promoted Meatless Monday. Mara also credits the diet with curing her sensitive stomach. “I’ve always had a pretty sensitive stomach, but when I cut animal products out of my diet, I felt so much better,” she said. The next vegan on our list just might surprise you! 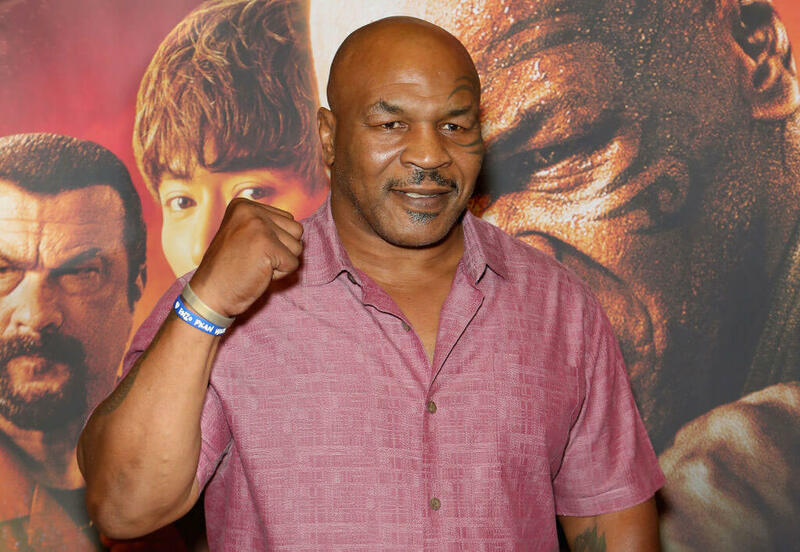 The famous boxer “Iron” Mike Tyson is now a vegan. He made the move because he was motivated to improve his health. In 2009 he was in rehab for alcohol addiction and drug abuse. While Tyson was in treatment, the smallest bite of meat would make him sick and give him stomach pains. This settles it, the best way to stay looking and feeling young might just be by switching to a vegan diet. 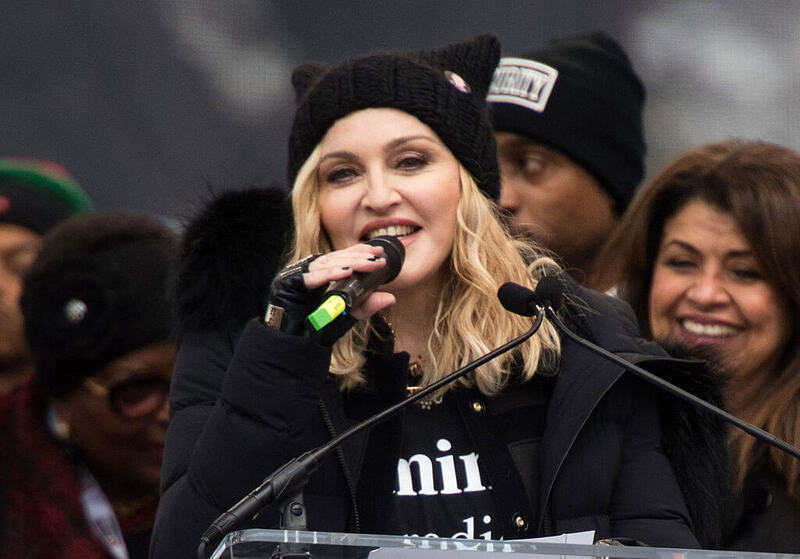 To be fair, Madonna is also completely committed to a grueling fitness regimen, but there’s no doubt that her macrobiotic, nearly-vegan diet helps in keeping her youthful appearance. 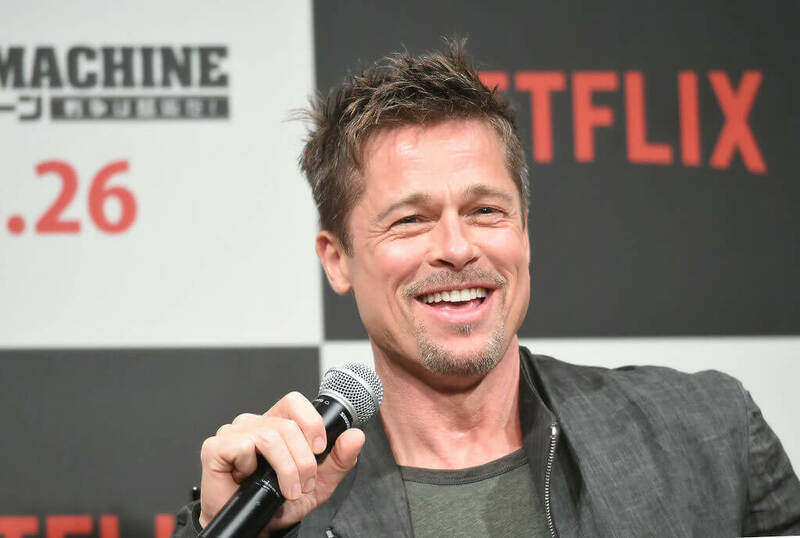 According to The Daily Mail, actor Brad Pitt has been a vegetarian for decades. He’s openly discussed his dislike of red meat. This caused problems while he was married to Angelina Jolie, since she had no desire to share his eating habits. Supposedly the couple would frequently argue about their kids’ diets. Some have even speculated that the differences in their eating habits may have played a role in their eventual divorce. Pitt is known for his animal activism and once asked an interviewer, “ever seen them butcher a cow for a hamburger? It’s incredibly brutal and violent. We live in a very violent world.” With those views, it’s understandable that he’d be uninterested in consuming meat. After losing her pet dog in 2014, Miley Cyrus decided to become a vegetarian. The following year she was named PETA’s “sexiest vegetarian celebrity.” In 2018 she appeared at the Met Gala in a dress designed by fellow vegan Stella McCartney. Comedienne and actress (and SNL alum!) Kristen Wiig is another celeb who has given up meat in favor of a healthier vegetarian lifestyle. She spoke to Women’s Health in 2008, saying, “I’m a vegetarian; I eat a lot of tofu and soy. I drink a lot of water, and I’m addicted to cranberry juice.” She makes sure to incorporate plenty of whole fruits and vegetables into her meals. In 2011 Wiig was named one of PETA’s Sexiest Celebrity Vegetarians, alongside Russell Brand. In addition to her veggie diet, Wiig also stays in shape by fitting in plenty of exercise. Her favorite physical activities are running and yoga. 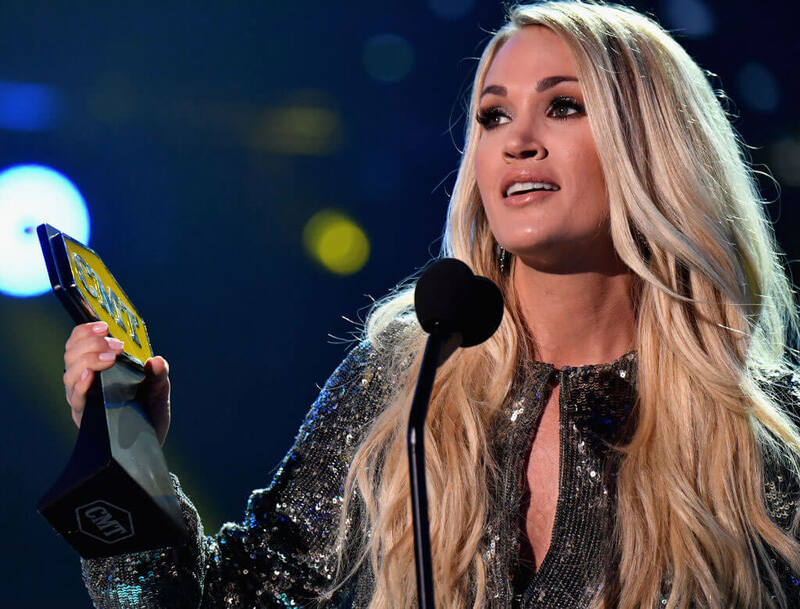 Carrie Underwood has been a vegetarian since she was just 13 years old. She made the decision to go meatless after the trauma of seeing animals killed. She was named PETA’s “Sexiest Vegetarian Celebrity” of 2005 and 2007, and in 2011 she went full vegan. Underwood considers herself a “practical vegan.” Here’s what that means, as she explained to Entertainment Wise. “I am a vegan but I consider myself to be a practical vegan. If I order something on a menu and it has a sprinkling of cheese on top I’m not going to send it back.” Sounds pretty reasonable to us. Czech supermodel Petra Němcová had quite a selfless reason for going vegan. She feared the health effects of fish farming and was upset by the fact that so many species of fish are being annihilated with unscrupulous fish farming practices. She made the move to veganism in 2007, remarking that, “I became quite green… I have a very strong connection to nature… and I read that if we fish the way we fish, in 2048 there will be no more fish left, which is pretty soon. So it’s a statement.” We’re impressed by her selfless ways! She also started a charity called the Happy Hearts Fund, which rebuilds schools in areas impacted by natural disasters. This model has a big heart. 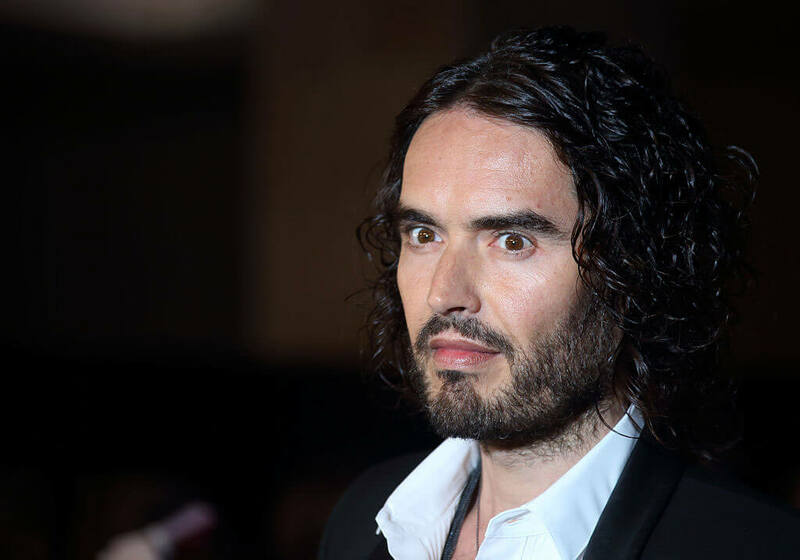 The British comedian’s motto about food is “you shouldn’t eat animals, it’s mean to them.” Russell Brand took up vegetarianism when he was only 14 years old. Like several others on this list, Brand made the switch over to veganism after watching a documentary about diet, this one being titled Forks Over Knives. After watching the program, which talks about the dangers of processed foods, he tweeted, “I’m now vegan, goodbye eggs, hello Ellen [Degeneres]” (she’s a fellow vegetarian). During a 2018 performance of his stand-up comedy show “Re:Birth,” Brand provided every member of the audience (that’s more than 1,000 people!) with his favorite vegan Hare Krishna cookies that he purchased from Govinda’s Vegetarian and Vegan Cafe. She seems to never age, does she? Now 64 years old, Christie Brinkley came to fame as a Sports Illustrated model. She eventually claimed a spot on the cover of more than 500 magazines throughout the world. Brinkley has dedicated most of her adult life to a vegetarian lifestyle. In interviews, she says that her ageless body and face are primarily because of her diet. She told Shape that her goal when preparing meals is to “go for as many colors as possible in a day.” She also said that she first became a vegetarian when she was 12 and gradually convinced the rest of her family to try the healthy lifestyle.